The drivers were nice and courteous when driving to and from airports. The hotel in Lima was nice and so was the one in Cusco. I loved the hotel in Ollantaytanbo. The guides were very helpful and informative. We loved the city tour and the tour to Morayas. 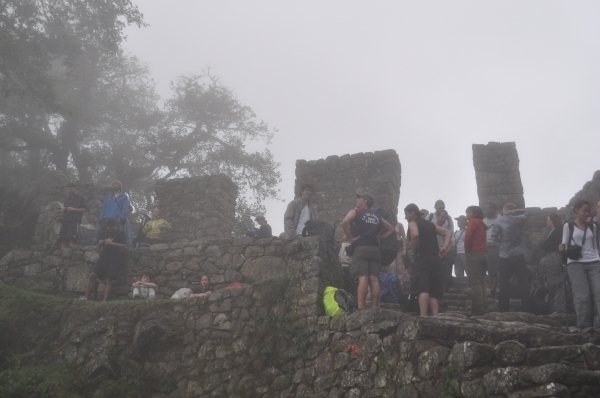 The 4 day Inca Trail Tour was wonderful. Fisher was our guide. He takes his job seriously and does it well. He was friendly and personable. Fisher was very intelligent and informative. The cook was fabulous and did well with accommodating me with my vegetarian diet. The whole kitchen staff were nice and obliging. I liked that they woke us with hot tea. My main complaint would be that the sleeping bags were inadequet for the cold nights that we encountered. I could not sleep because I was so cold although I slept in three layers of clothes and my coat. The hikes were exhilarating and strenuous, not too much so. I love to hike and that was exactly what I was looking for. The terrain was not too rough. The Andes Mountain range was something to behold. I jungle is beautiful. Every day we had a different experience. There were different archeological sites along the way. Besides being in nature, which I love, I feel that I had an education.